Enjoy a free concert with the Erie Heights Brass Ensemble on Thursday, July 26, at our Read House. We’ve dedicated our Summer Reading to music, so how about we wrap up July with a concert? The Erie Heights Brass Ensemble will play a free show of hits from the 1930s and ‘40s at 6:30 p.m. on Thursday, July 26, at the library. 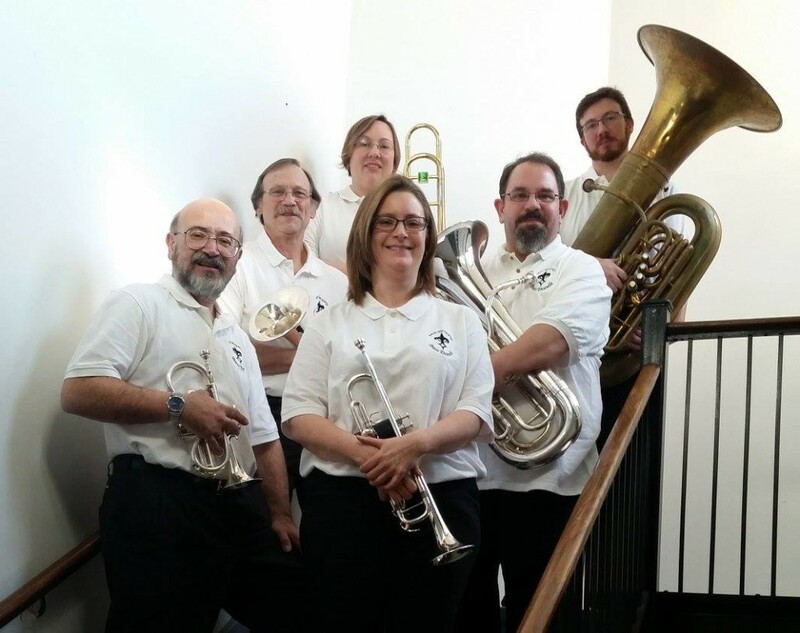 The Ensemble is an all-brass sextet that’s based in Ashtabula. Their repertoire includes pop, classical, Latin, jazz and swing music. We’re hosting the concert at our Read House, which is next door to our Main Branch. If it rains (which it won’t) the concert will be moved indoors to the Main Branch. The concert is free to attend and open to all. You can RSVP online or call us at (440) 255-8811 ext. 247. This entry was posted in Uncategorized and tagged concert, Erie Heights Brass ensemble, Mentor Public Library, Read House. Bookmark the permalink.